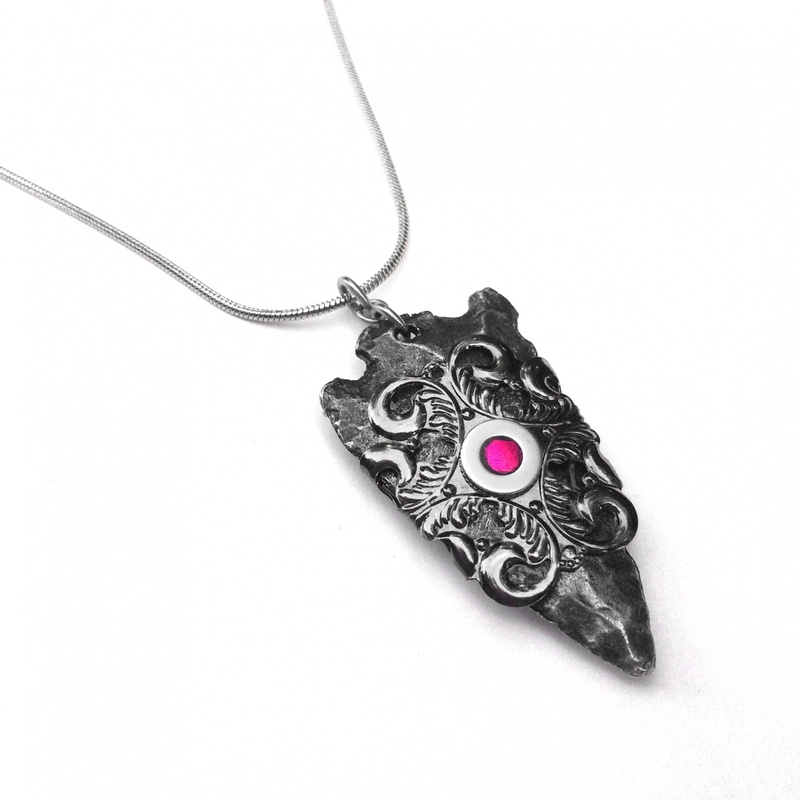 Be the talk of the office with fantastic filigree arrowhead design. 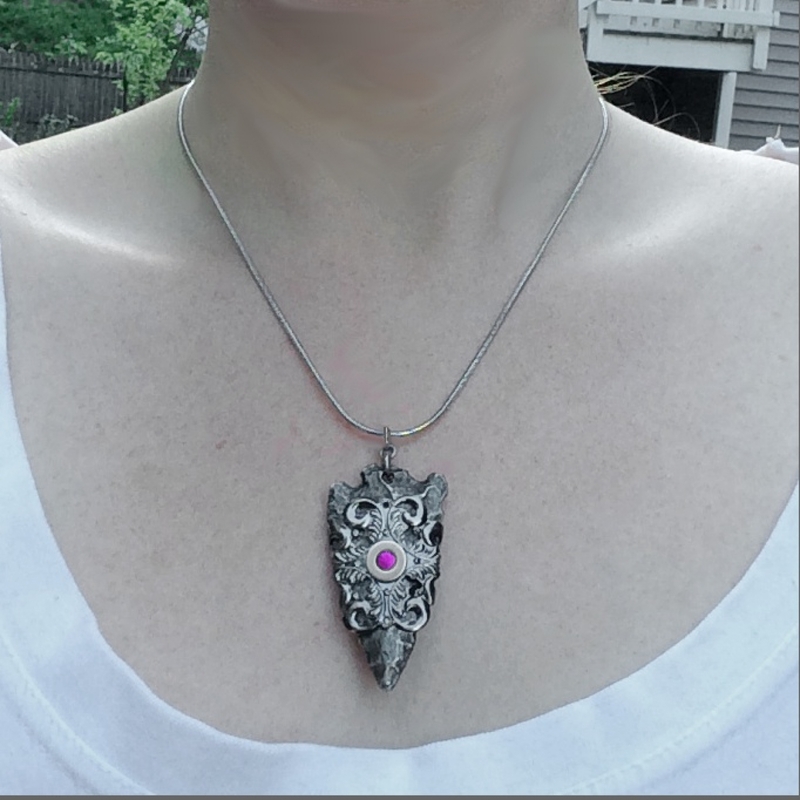 The chiseled pewter arrowhead pendant is 2" tall, 1/4" thick and at the top 1" wide. 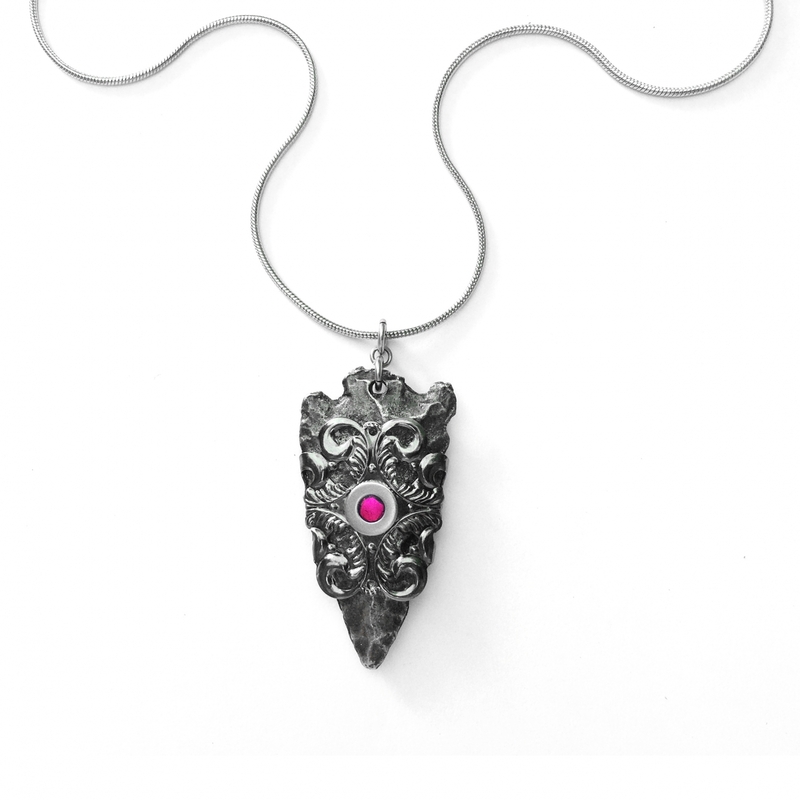 It is delicately wrapped with an ornate steel filigree then topped off with a resin center framed in stainless steel. The back of the arrowhead features a larger stainless steel frame hand filled with the same color blend. 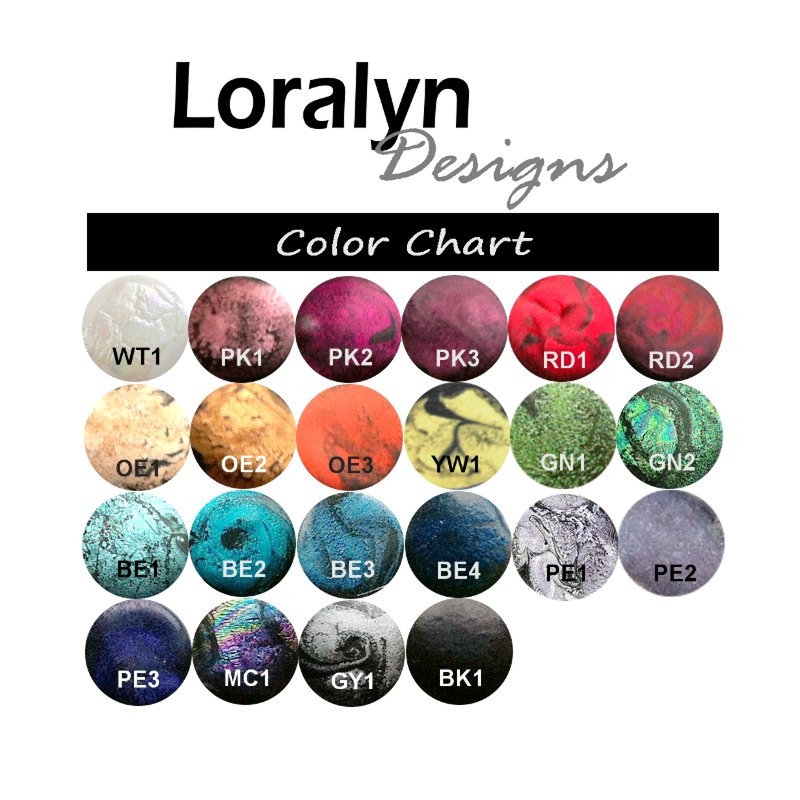 The marbled design on the color blend will vary slightly on each pendant since each is handmade. 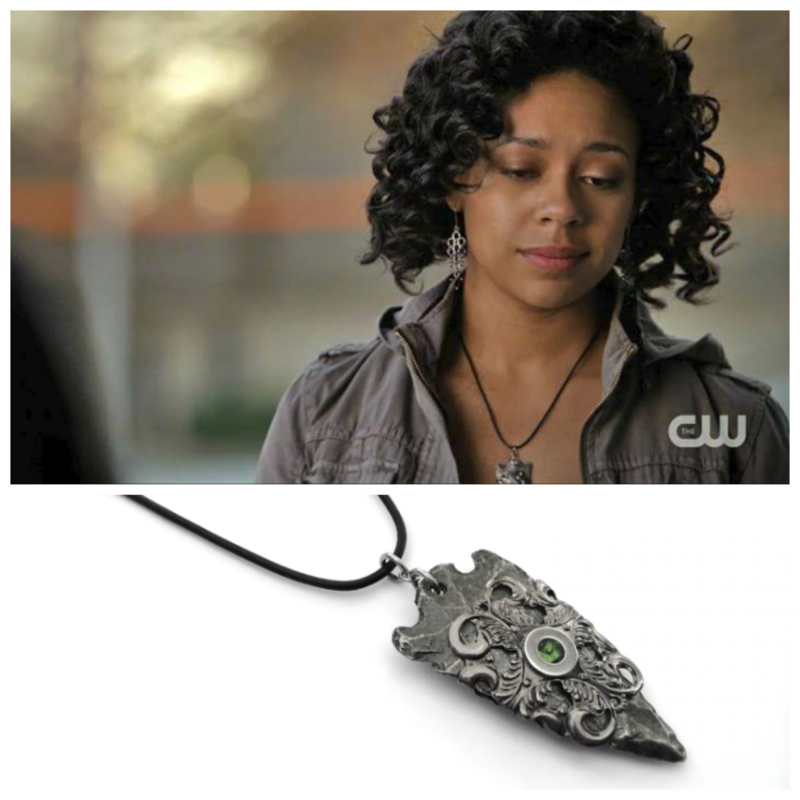 This piece was designed for and gifted to the wardrobe stylist of The Vampire Diaries for consideration of use on Season 5 and they chose to use it! It was worn by traveler Maria on Episode 21 which aired May 8th, 2014! Picture showin with green center and black leather necklace chain.